Binders, books, backpacks … and murder. An Act of Murder ($14.95, 236 pages, ISBN: 978-1-60381-375-4) is the first cozy mystery by debut author Mary Angela in a series featuring English professor Emmeline Prather. After one of her students is found dead in an apparent accident, Professor Prather is convinced he was murdered and seeks out his killer within the confines of their close-knit college community. 4.5 Stars: “The plot is believable and the supporting characters are fun and have quirky traits all their own. The mystery itself, which provides the core of the plot, constantly keeps the reader guessing [….] A fantastic read and a lot of fun!” Read more…. 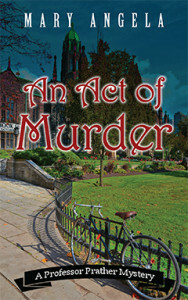 “An Act of Murder is the first volume in a new mystery series that features amateur sleuth Professor Emmeline Prather. A deftly crafted novel of unexpected twists and surprising turns, An Act of Murder clearly establishes author Mary Angela as an impressively skilled and original storyteller. Certain to be an enduringly popular addition to community library Mystery/Suspense collections, An Act of Murder will leave dedicated mystery buffs looking eagerly toward the next Professor Emmeline Prather adventure!” Read more…. “The idea that I would distinctly remember characters that make one brief appearance speaks to Angela’s ability to bring the people of An Act of Murder to life. Angela does a fabulous job of creating a college campus that feels so real. The descriptions of buildings, students, off-campus spots are just so perfect…they’ll take every college graduate back to their days on campus…. 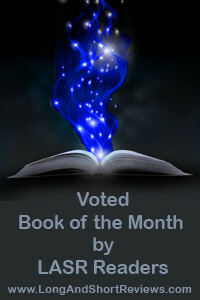 This is a fun book and ideal for autumn reading.” Read more…. 5 Stars: “An Act of Murder is a well-written and imaginative tale of a teacher whose determination to get to the truth and see justice done for one of her students is right on the money. Mary Angela’s debut novel in this intriguing whodunit series had me glued to every single page, determined to spot any clues to try to solve the mystery of the killer’s identity before the end. With so many people to choose from, I was shocked when all of the evidence pointed to somebody I had not considered a real contender, and I applaud Mary Angela’s technique in presenting such a complex tale. Each of the characters was realistic and engaging, making An Act of Murder a real joy to read.” Read more…. “What a treat it was to read a cozy mystery with such vivid descriptions that place you in the center of the story. There were times I felt like I was sitting in the student hangout and listened in on their conversations. I loved everything about Emmeline, from her directness, attention to details and a never give up attitude[.…] The author really knows how to write with twists that shake up the story with surprise and excellent snippets of intrigue. […] The ending was explosive with secrets that will leave you hanging on the edge of your seat .” Read more…. “In this first installment of the Professor Prather Mystery series, we are introduced to an enjoyable cast of cozy characters in a delightful setting. Emmeline (Em) Prather is an English professor in Copper Bluff, South Dakota. I absolutely adore Emmeline. She is a perfect cozy sleuth. The setting is just wonderful.” Read more…. “There are numerous interesting angles and twists and turns in An Act of Murder that make it a most enjoyable read.” Read more…. “Author Mary Angela paints beautiful word pictures of Copper Bluff—the town and the campus. I can clearly picture both of them in my mind…. [She] has created a cast of memorable characters, headed up by the quirky Emmeline Prather the Instigator, and her stalwart sidekick Lenny Jenkins. I love their witty repartee.” Read more…. “This series is off to a great start. The mystery is complicated and believable. The characters are real with plenty of room to evolve. The setting is intriguing with a huge pool of people to draw into future stories. Mary Angela is an author to watch. I am excited about upcoming installments to this story.” Read more…. “Emmeline is this character that you love because she just seems like a real person. I found her quirks and passions to be similar to mine (Hello, France anyone?) which made me feel a friendship with her. In fact, all the characters are this way. You just love many of the professors. The mystery was great, and set up nicely. I found that the book just flowed into the mystery. It held great clues, but twists that kept you guessing.” Read more…. “The story is well written, full of twists and very addictive […]. This was a great read that left me turning the pages, eager to know what was going to happen next.” Read more…. Unmasking the murderer proves much more challenging than finding dangling participles, so Em recruits fellow English professor Lenny Jenkins for assistance. Together, they comb the campus and vicinity for clues, risking their reputations and possibly their jobs. After an intruder breaks into Em’s house, Lenny advises caution—and perhaps a change of address. Em, on the other hand, is all the more determined to forge ahead, convinced they’re on the brink of an important breakthrough. Mary Angela teaches English for the University of South Dakota and enjoys reading, traveling, and spending time with her family. She lives in South Dakota with her husband and two young daughters. An avid mystery fan, Mary is a member of Mystery Writers of America and Sisters in Crime. For more information, click here. I tugged on the door, only to discover that it was locked, a rarity, and rummaged through my jacket pockets for the keys. My satchel came off my shoulder and the keys fell to the ground with a clang. I knelt down and was fumbling for them in the dark when I overheard voices. Abruptly, I froze. I was in an awkward position; it appeared that I had knelt down beside the car to eavesdrop. I couldn’t stand up now. Instead, I studied my shoe and pretended to tie it, despite the fact that it was a high heel with no laces. I could not see the individuals—they were on the other side of the car—but the voices were male and female, and the two seemed to be quarrelling. Her voice was quiet but insistent. His was easier to hear only because it was deeper. “I don’t want to wait. Why can’t you tell him now?” he asked. They had to be students—impetuous souls. I felt somewhat relieved knowing that if I were detected, it would not be by seasoned faculty members. I had done enough tonight to create a burgeoning divide between my new colleague and me. Was I overhearing a lover’s spat? If so, it was a bit scant on the love. I detected nothing but bitterness between these two individuals. This declaration was met with absolute silence, and I didn’t dare take a breath. “No, you won’t,” she finally said, growling out each word. “Oh yeah? And who’s going to stop me? You?” He laughed, but I could tell he was nervous. I was so shaken by the turn of the conversation, I fumbled my keys, and the pair became quiet. I debated whether or not to stand up and confront them. My teacherly instinct said something was amiss, but I worried my actions would be unwelcome—especially for the boy. I knew how sensitive male students at this age could be about their egos. First I heard heavy footsteps leave the parking lot, growing softer, then silent as they reached the grass. Moments later, lighter footsteps started off in another direction. A sick feeling settled in the bottom of my stomach as I quietly unlocked my car. I slid into the seat and shut the door. What had just happened? I replayed the brief conversation in my head several times, each version growing more sinister. I surveyed the parking lot, but there was no one in sight. I turned the key, and the engine rumbled to a start. I quickly drove the one block to my house, the sick feeling never leaving my stomach.